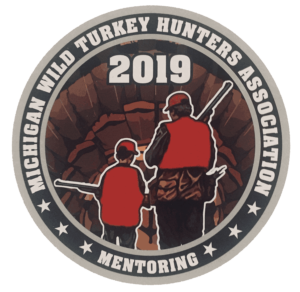 The North-Central Michigan Chapter of the Michigan Wild Turkey Hunters Association is holding their annual banquet. Come for raffles, guns, door prizes, unique items. There will be live and silent auctions, free games for kids. Families welcome! The Gobbler Gun Giveaway raffle features 26 assorted pistols, rifles, shotguns, and at least one real sharp crossbow. There will be only 200 raffle tickets sold at $100 per ticket, so the odds are very good! These gun raffle tickets are now on sale. You don’t need to be present to win. Plus, for every Gobbler Gun Giveaway raffle ticket you purchase, when that person comes to the banquet, they will be given two more tickets for two extra guns in the raffle. Purchase three gun raffle tickets, and be entitled to a FREE Couples banquet ticket. All banquet tickets purchased before February 1, 2018, will be eligible for a special Early Bird Gun Drawing at the banquet. Tickets will be picked up at the registration table on the night of the banquet. Singles $35, Couples $60, Juniors 17 and under $20. Gobbler Gun Giveaway Raffle Tickets $100 (only 200 raffle tickets will be sold and there are 26 guns to be raffled)!